If you or a family member has disabilities involving nerves, joints, or other soft tissue, physical medicine and rehabilitation can help maximize your daily quality of life. At Vitality Medical Center in Old Town Tustin, California, Dr. Laila Nayab-Murshidi and the team of providers offer comprehensive physical medicine and rehabilitation, or physiatry, treatment plans. If you live in Orange County or the Los Angeles area, call the office or book an appointment online to find out how cutting-edge treatments and expert physical medicine and rehabilitation can enhance your well-being. Physical medicine and rehabilitation focus on maximizing the independence and quality of life of people who are compromised by physical impairments and disabilities. The approach taken by the team at Vitality Medical Center isn’t designed to “cure” or just alleviate symptoms, but to improve function in daily life to allow for greater independence. 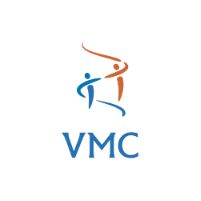 At Vitality Medical Center, the physical medicine and rehabilitation specialists have the broad medical expertise to evaluate, diagnose, and treat disabling conditions. They treat the whole person, not just the immediate medical issue at hand. What types of issues do physical medicine and rehabilitation address? At Vitality Medical Center, the expert providers have a broad range of knowledge concerning the musculoskeletaland neurological symptoms to provide help to people with various conditions. The spine houses the spinal cord and nerves which can be a major source of pain and dysfunction, so it makes sense that spinal alignment, as well as physical medicine and rehabilitation to the musculoskeletal system from the providers at Vitality Medical Center offers valuable relief. What types of treatments are included as part of physical medicine and rehabilitation? The skilled providers at Vitality Medical Center assess your or your loved one’s needs and offer the best supportive care possible. To learn more about physical medicine and rehabilitation and how it boosts your overall function and enjoyment of daily life, call Vitality Medical Center in Tustin, California, or book an appointment online today.